Hotel Brianza, Bolonia, Włochy : Rezerwuj teraz! Hotel Brianza is a new, modern and beautiful structure. It is suitable for groups, business trips and concerts. 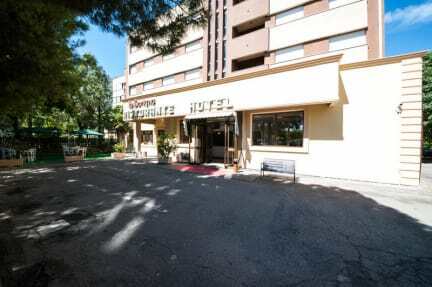 The hotel is located in Calderara di Reno, only 1,5 km from the Airport Marconi of Bologna and 12 km from the “Fiera di Bologna”. In a few minutes driving you can reach the center of Bologna. 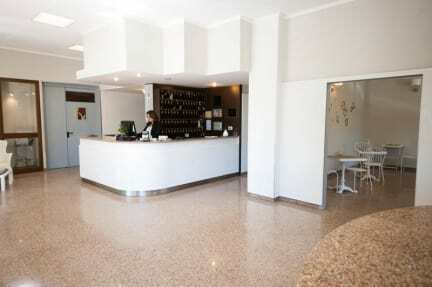 This modern hotel lies just 5 minutes from the A4 highway exit and 15 from the very centre of Bologna. Hotel Brianza offers several rooms with many facilities such as TV, broad parking lot, Wi-Fi, mini bar and private bathroom with hairdryer. Our self-service breakfast is served from 07:00. The total price of the reservation will be charged in case of no show or late cancellation. Breakfast is not included in room price.